Pausing in Bali from his world tour, Michael Franti and friends will perform a live 75 minute concert at the bamboo-estate of Linda Garland, in Nyuh Kuning, Ubud on Saturday, March 28, 2009. Revenues raised from ticket sales will be contributed to the Pelangi School - Ubud’s holistic, bilingual, community school. A worldwide recording and stage star, Michael Franti will bring his signature socially-conscious lyrics, inspired beats, dub-grooves and song to Ubud during a night promised by its organizers to inspire and bring listeners to their feet in an intimate setting. Joining Franti on stage will be 'friends' Carly Young, the bass player from Franti's band "Spearhead," and J. Bowman, guitarist extraordinaire. Franti's visit to Bali comes following sold-out concert dates in the Bay Area of northern California. 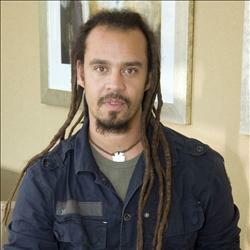 Following his Bali fund-raiser Franti heads to the Blues Fest in Byron Bay, Australia. Active as a musician, film-makers, yoga enthusiast and humanitarian worker – Franti has a world-wide network of fans and friends. The venue for his Ubud performance, the Linda Garland's Estate, is located on 10 hectares of lush vegetation stretching along a river gorge punctuated by an inspiring waterfall. Secluded in the village of Nyuh Kuning, just behind Ubud's Monkey Forest, song-birds and reflective visitors both sing praise to of the careful balance maintained between human habitation and nature's integrity. Produced by the Balispirit Festival, the Bali appearance of Michael Franti is made possible through the generous support of the Canadian eco-friendly company Terra View.